UTSA Musicians of Business return with fourth installment of grassroots DIY fest, UTSA Underground, on national DIY day. 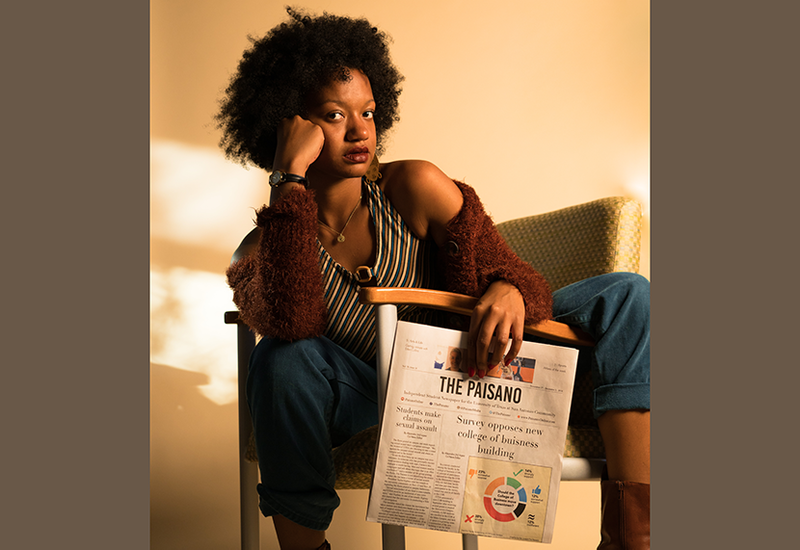 Arriving this weekend for a fourth installment is UTSA Underground, a collaborative event headed by UTSA’s Musicians of Business (MOB) in affiliation with Roadrunner Productions and the UTSA Student Union. UTSA Underground will bring the sounds and sights of our UTSA community on April 7, 2018 from 7 p.m. to 11 p.m just hours after Music Biz Day, the largest free music symposium in the United States. The festival has grown in size since its inception in 2015 and stays true to the vision of hosting underground artists literally underground. 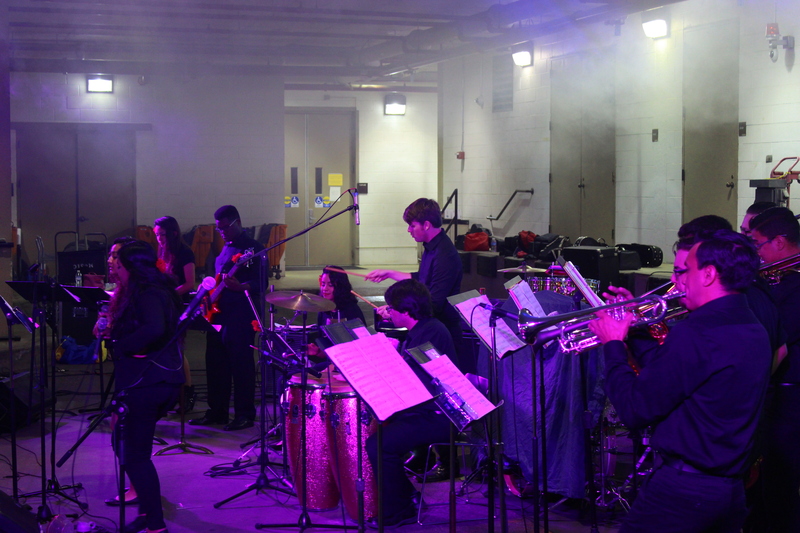 The festival takes place beneath portions of the Sombrilla, Flawn Science building, the Arts building and the Multidisciplinary Studies building in the auxiliary tunnels, as well as the lawn stage. 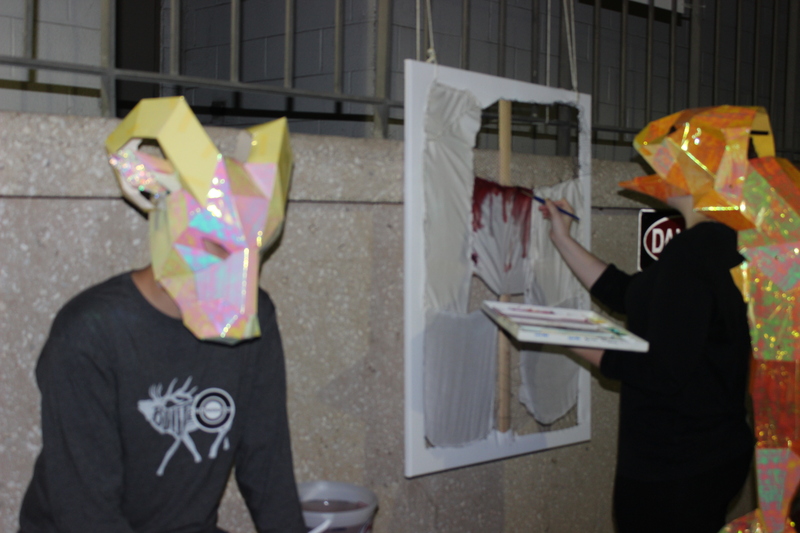 Last year, the festival expanded its reach by including the work of art students. This year, UTSA Underground audience members will have the option to shuffle between the 23 musical acts and 19 visual artists that have made their way onto the growing festival’s lineup. 2018 marks the fest’s largest lineup, having doubled since last year’s. The festival is truly a grassroots UTSA student event. The event is run by students, with student performers and a student-based audience. It not only provides an event for people to share music and art, but provides an environment where students can immerse themselves in the technical aspects of creating and managing a multi-disciplinary event. “It gives students a chance to get really hands on experience with putting together such an event and the chance to see all the things that go into such a large project, but it also gives you a chance to do it in a controlled environment,” Dylan Illseng, UTSA graduate and former president of MOB said. Ilseng was part of the original UTSA Underground when it was a project for a music marketing class, before the rebirth of MOB in later times. As the festival grows, technical challenges constantly appear, making for a robust, interactive experience that requires intuitive critical thinking. The student body element makes it an event that encourages communication and cultural exchange. The confirmed list of artists include various artists working with different mediums. New media will have a heavy presence at the festival. Oscar Alanis and Rachael Oelson will exhibit a piece that “focuses on excess information in social media and how light is used to transfer information from one side of the world to the another,” according to their artist statement for this piece. The large piece involves water pumps, ceramic models and wooden structures among other mediums. Luis Nuñez will be displaying video projections. Walden Booker will present 2D work that symbolizes periods of his life displayed through still lifes. Watercolorist Veeny France Revilla will present works focused on themes of the subconscious mind. Edward Harris’ interactive installation environment will reflect his style, which according to Harris. Robert JC Wilson “consists of working with the self and working with connections,” will be debuting a new projection installation at this year’s Underground. Natasha Shirley will put on a performative art piece “wearing hosiery filled with small fleshy balls with balls of yarn tied to her ankle.” Her work aims to emphasize the role the audience plays by responding, focusing specifically on empathy. “Each piece is a collaboration between me and those interacting with it,” Shirley stated. Student organization Clay Fusion will have an interactive piece set up with two pottery wheels creating vessels in real time while audience members are invited to throw these vessels through a target. Printmaking for non-majors and 2D Foundations will also be making an appearance. 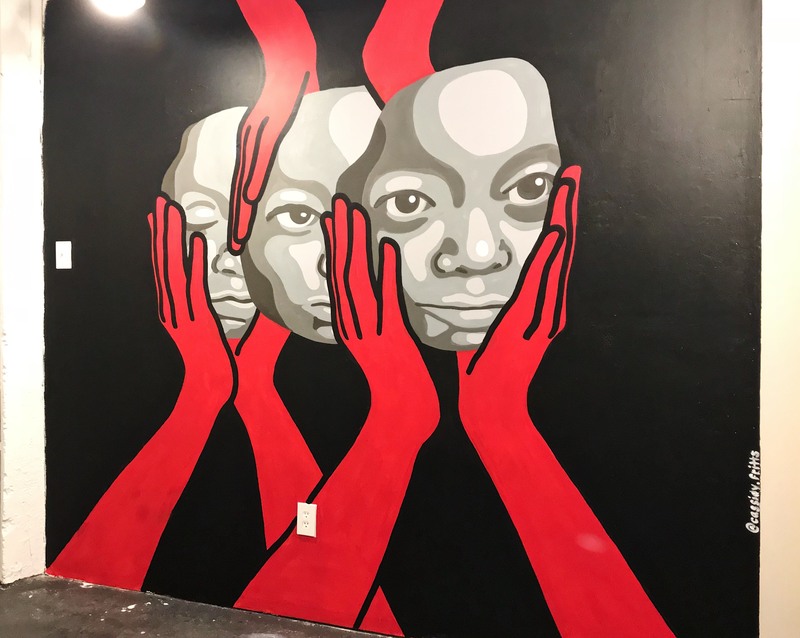 Interdisciplinary artist and Near Orbit member Domeinic Jimenez will blend mediums in an eccentric style to explore themes of identity and purpose. 15-year-old Kalle Duncan explores the identity, race, gender and the intersectionality of the three. Noah Sala a.k.a. WARBY will be presenting a collection of work that appeals to a viewer’s perception of innocence and familiarity. Aaron Pozos, President of the Bon A Tirer (B.A.T.) Printmaking Club, primarily focuses on printmaking using symbolism to create visual poetry. Kira Knible will present video projections. These will focus on “the complexities of humanness, both physical and mental, its relationship to natural ‘truths’ through process exploration and personal intimacy,” according to Knible. Selika De Los Santos will return to this year’s Underground event with 2D artwork. Vero Caceres will present alternate reality through video projection, challenging her viewers to question their role in the world and their own communities. Kayla M. Valadez will present 2D drawn pieces that capture her object’s expression in candid situations. Vegan artist Eros will present his brand of vaporwave-reminiscent visuals. Austen Shankle, Sarah McMahon and The Gemini Project will present. Bobby Lopez and Jacob Martinez will present together. Cassidy Fritts, a San Antonio painter, muralist and mixed media artist is also contributing an installation piece to this year’s fest. Upon surveying people on their college experience, including those who may have dropped out or didn’t have a typical college experience. The four-panel installation made entirely of recycled cardboard will represent the various stages of college experiences and the outside pressures contributing to the pursuit of academics. “For me the biggest challenge of presenting work in this setting will be the installation process. We can’t necessarily suspend things from the ceiling or drill or nail things into the walls, but that’ll just teach me another way of installing work,” Fritts remarked. The invitation to include visual art was challenging as the traditional functional aspects of a gallery aren’t available in the concrete and steel covered tunnels. Artists not only have to create work to present, but the presentation of the art itself has to also be taken into account. Due to safety guidelines, lights cannot be turned off and everything brought into the tunnel must be be removable. Rachel Long, co-curator of UTSA Underground’s art, will also be returning this year to don “Merlin,” a character she becomes when wearing a hand-made amber fish mask-piece during a performance piece as well as display alongside Rebeka Hurst, who is also a co-curator. Her solo performance, she says, is a different approach to art than her 2D painting work, “I love theatre and dressing up, and I don’t get a chance to incorporate that with the painting side of things the way my art goes, so I wanted to explore that in this setting where it’s a little bit softer because it’s not a museum setting, it’s not a gallery setting, so its something a little more experimental a little more open.” Along with presenting, Long must also deal with the technical aspects of the unforgiving tunnel environment. Tasked with managing the chaos of the large festival is Leon Camacho, MOB president. Nuevo Leon, MX native Camacho has seen the fest grow having worked it in previous years, and now oversees the blossoming staple in the UTSA cultural calendar. 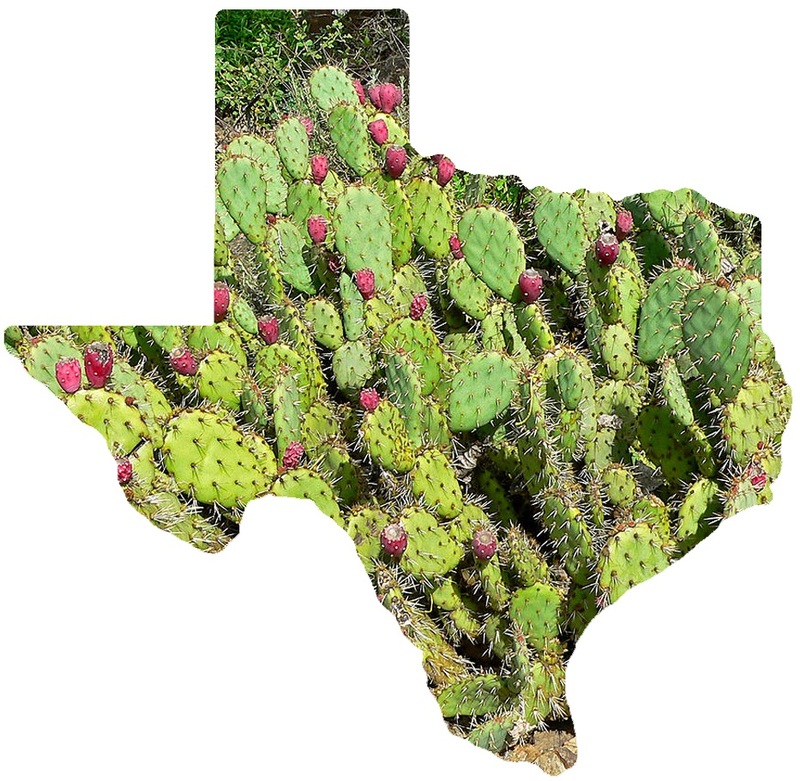 Camacho was also part of the team working with Music Marketing Director Dr. Stan Renard in creating an app used to capture, store, analyze, manage and present music-centric geographic for San Antonio. The data captured using geographic information system (GIS) technology to map the scope and scale of San Antonio’s live music scene. MOB has presented a beautiful communal event three years in a row and are showing signs of outdoing themselves on their fourth. UTSA Underground is free. Support DIY.